"Clean, nice staff, nice location, big comfort room"
Have a question for Pacific Hotel? "Hotel location is excellent, walking distance to shopping areas with walking distance to Namsan Tower." "Location was good as near to train stn and airport bus shuttle service was just nearby too." 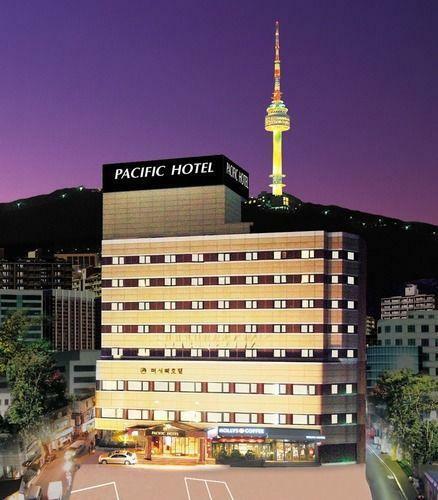 "Clean hotel, spacious room with beautiful view, great location, helpful staff ;"
"Excellent location with lots of great eats & finds around ho..."
The Pacific Hotel is in an exceptional spot from which to discover Seoul and surrounding areas. With a 4 star rating, this hotel is a great choice for your next vacation. The rooms here overlook the city, giving you a glimpse of the lively city roads. This hotel is near LINE Friends Flagship Store Myeongdong Station, JN Shopping Mall, Beautiplex (Myeongdong), Everysing Myeongdong, and YH.KIM. The Pacific Hotel has a bar, restaurants on-site, a coffee shop, and room service, so there is a selection of dining and snacking options. 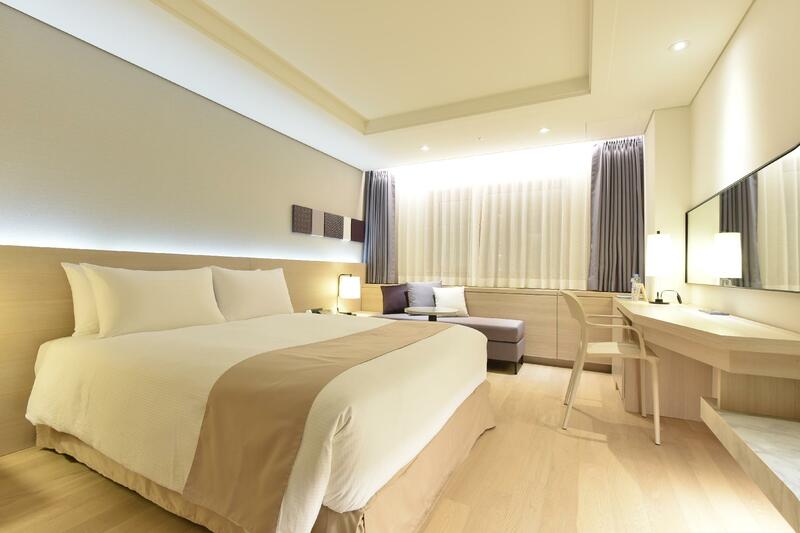 This Seoul hotel features family rooms, so your family will have adequate space to be together. It is equipped with a kids club, keeping your little ones entertained while you enjoy your time away. If you want to spend your day simply relaxing and unwinding, visit the nearby massage facilities. With guided tours available, this hotel is a great place to stay to learn about the area and see everything you can while you're here. It has numerous convenient features, such as a salon, a selection of shops, a currency exchange, a smoking area, as well as safety deposit boxes. The Pacific Hotel features a fitness center, a sauna, ticket services, and a spa among other amazing facilities. 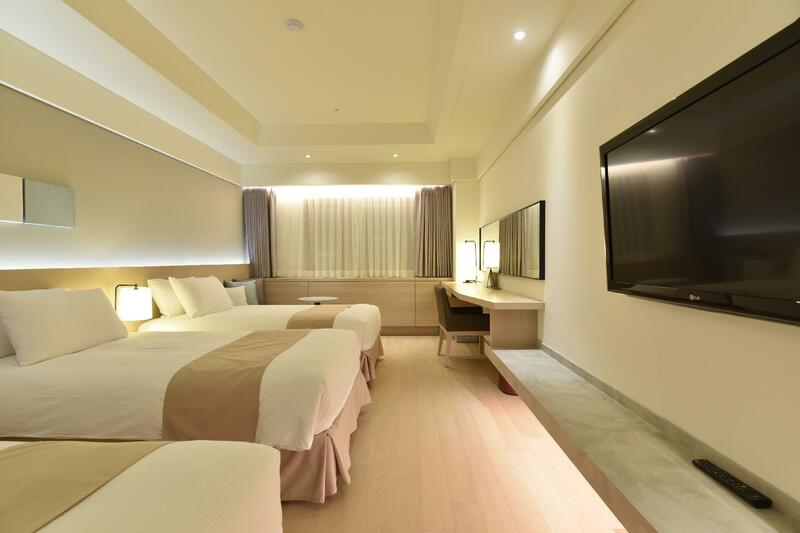 The Pacific Hotel has daily housekeeping, which will allow guests to spend their stay enjoying their vacation and not worrying about making their bed and cleaning up every day. From dry cleaning services to luggage storage, the hotel offers various useful and convenient services, ensuring that guests get the most out of their visit. There's free Wi-Fi in all rooms, as well as Wi-Fi in common areas, allowing you to stay connected to your friends and family back home without splashing out on data and roaming costs. The front desk is open at all hours, so there will always be a member of staff behind the desk to answer any questions that you have. With pet-friendly facilities, the hotel is ideal for visitors who can't bear to be away from their pets. Check-in is offered from 02:00 PM and check-out is until 12:00 PM. The Pacific Hotel gives you access to a variety of transportation options, such as airport transfers and taxi services. Myeong-dong Subway Station is 130 m away and Euljiro 1(il)-ga Subway Station is 700 m away. The nearest airport is Gimpo Airport (GMP). "Will definitely be back again!" On the whole the hotel is good, however, the air condition in the floor we stayed was really really worse, it's very very hot even though we stayed there in November. But the staff were friendly and helpful , they helped us to move to another floor and the ventilation was better. So, I will choose this hotel again if I go to Seoul, however , don't let me to stay in seventh floor again! Good location and just 1 mins walk to the central shopping centre..actually still have another hotel more close to the shopping street but they seems very noisy. if you are seeking the hotel in central but not noisy, Pacific hotel must be a good choice for you. We arrived at the hotel in the evening on a very cold day and were greeted by very attentive service staff! The bellman immediately came up to us and helped carry our luggages in to the reception area such that we could get some heat. Check in was very fast and hotel stay was very pleasant! Nice room, lovely smell in the lobby. Will definitely recommend staying here! Hotel location is excellent, walking distance to shopping areas with walking distance to Namsan Tower. Hotel room was clean, spacious with city view. Hotel staffs were friendly. I certainly will book this hotel again when I visit Seoul again. My second time here at pacific. Location was good as near to train stn and airport bus shuttle service was just nearby too. There’s a nice bbq place just beside the hotel and there’s a coffee place just located in the hotel. Will be back again if I’m back in Seoul. It’s very good location. Myeongdong jus across the building. Halal food I can get right behind the hotel. The staff very friendly & the bell boy very helpful too. Definitely will stay in this hotel again. Friendly and helpful staff (including receptionist and housekeeping staff), good location where you can easily find restaurant, convenient store and subway station. The room is in acceptable clean condition. Bath tub provided, which is important for family with toddler and elders. Hotel very clean, hotel location very near myeondong street - (opposite) Buffet not a lot of variety food, they never refill the food/drinks. Be at there for breakfast at 9A.M Overall, pleasant stay in this hotel - staff is nice/helpful . will stay at this hotel again. We met a very friendly and helpful front desk staff when we checked in. He helped us to book a tour to DMZ and we had a wonderful trip. Great location, very near to the airport bus stop, metro station and Myeongdong shopping area,. The room is comfortable, and clean, toiletries are good. I love to stay in this hotel, very clean, great location and furthermore we received surprised cake from the hotel for our 1st wedding anniversary. Thanks to Ms. Stella Oh for the room arrangement and Mr. Kim for the surprised cake. Me and my wife really enjoy stay at your hotel and for sure will come back again. The location is fantastic just opposite myeongdong. The room assigned is on 3rd floor but big. Manager Douglas made sure we gotten a big room so we can have maximum comfort. Originally booked a suite twin but was informed its too small. In the end got to be placed in family twin with an extra bed. There is still plenty of space and on the 3rd floor theres additional toilets. Suitable for family with kids. Housekeeping is on the dot. Request for extra pillows and towels were granted. We were offered breakfast for whole of stay due to difference in price from suite twin to family twin room. The breakfast was good and convenient. Thanks the staff for their help Eunbi and Douglas. Appreciate the stay. Good Location, very clean and tidy room, nice staff, reasonable price. Highly recommended. great location, less than 5 minutes walk to Myeongdong metro station and pleasant walk distance to Seoul tower. staff were honest and helpful, I accidentally left my handphone after I check out but they able to find it and return to me. Thank you so much! Location is defintely the best, 2 minutes walk to train station. Not really value for money as i booked it early and it cost much more (10-15 usd more per night) than if you try to book it later date. The worst of this hotel, gym is for men use only. What??!! Resulted my wife not able to use the gym and hence i not using it too.. Here come the worst part, when we first check in , the bed come with dirty stain and with strains of short and long hair found underneath the blanket. As we check in at late hours, we decided not to change room but just hightlighted it to the front desk and they said the house keeping service will change a new bedsheet cover the next day. On the next day, after the housekeeping was done, We check the cleaniness of the bedsheet. We can still find many strains of hair ( short and long) on the bed. Well, from that moment i knew the hotel is providing lousy housekeeing services!! The room was nice and clean, not much of a view, but the location was spot on! literally less than 2 minute walk towards the busy myeong dong shopping district and the subway, as well as right in front of the airport bus stop. There is also a fried chicken next door is super yummy, and not to mention N-tower being literally at ur back yard! Awesome stay!